Zinn, Lennard. Zinn and The Art of Mountain Bike Maintenance. Photo available. Boulder. Velo. 2010. 440 pps. 4to. Soft cover. Fifth edition. Illustrated. Important reference work. Fine copy. Zullo, Allan. When Bad Things Happen to Good Golfers. 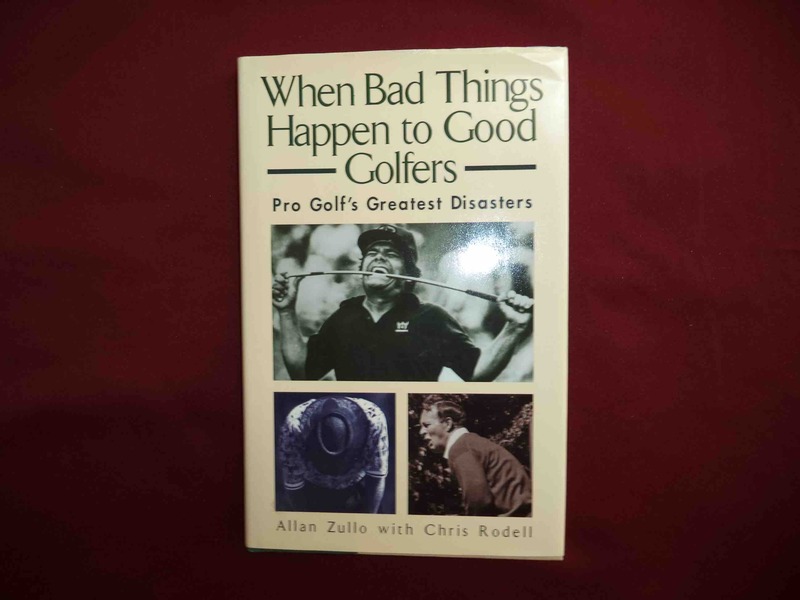 Pro Golf's Greatest Disasters. Kansas City. Andrews McMeel. 1998. Octavo. Soft cover. First edition. Illustrated. Fine copy. Zullo, Allan. When Bad Things Happen to Good Golfers. Pro Golf's Greatest Disasters. Photo available. Kansas City. Andrews McMeel Publishing. 1998. Octavo. Hard cover. Illustrated. Fine copy in fine dust jacket (in mylar). Zumbo, Jim. Hunt Elk. Photo available. Clinton. Winchester. 1985. Octavo. Hard cover. First edition. Illustrated. Fine copy. Zumbo, Jim. Icefishing East and West. New York. David McKay. 1978. Octavo. Hard cover. First edition. Illustrated. Fine copy in fine dust jacket (in mylar). Zwirz, Bob. The ABC's of Fishing. From Novice to Expert in 23 Fact-Filled Chapters. Chicago. Follett. 1974. 4to. Soft cover. Illustrated. Fine copy. Zwirz, Bob. The Digest Book of Fresh Water Fishing. The Art and Science of Successful Angling. For Novice and Expert Alike. Northfield. DBI. 1979. 96 pps. 4to. Soft cover. First edition. Illustrated. Fine copy.